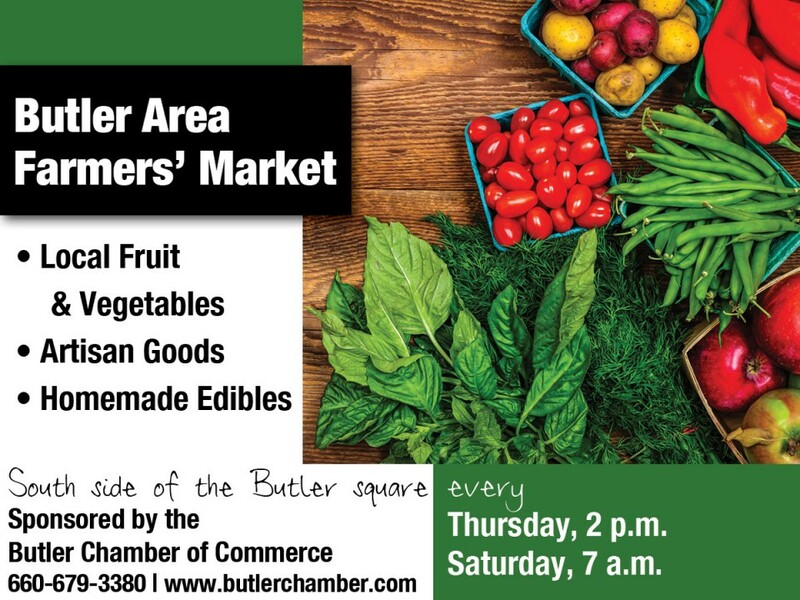 The Butler Chamber of Commerce sponsors a twice-weekly Farmers Market located on the south side of the Historic Downtown Square. Vendor spots are free! Don’t miss this! Vendors, if you would like to sell EGGS, please contact our office at 660-679-3380.